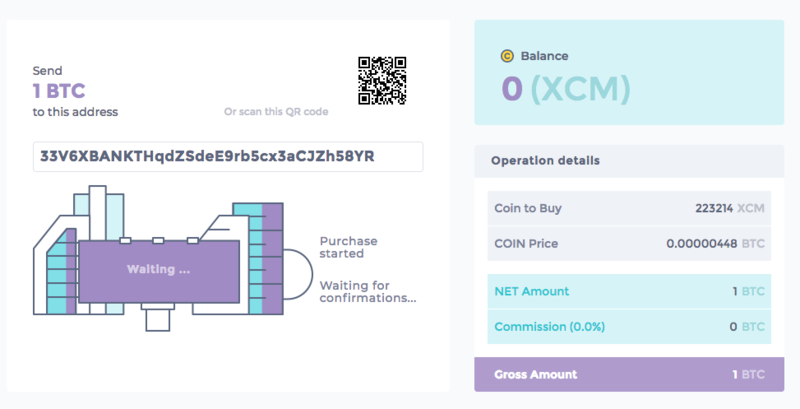 How to purchase XCM tokens during the CoinMetro Token Sale. If you're ready to get your hands on CoinMetro's XCM token, you'll be relieved to know that the process is extremely safe and straightforward. To begin, head to coinmetro.com. You will want to click on the "Buy Coin Now" button. 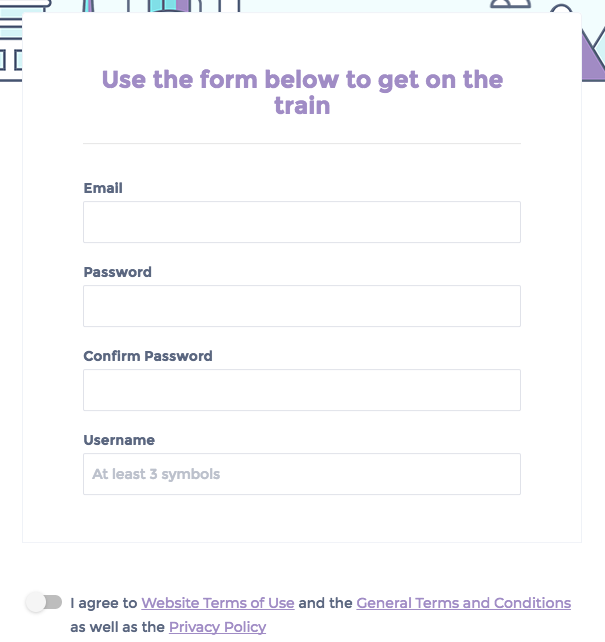 If you already have a CoinMetro account, you'll need to sign in. If you don't have an account yet, you'll need to create one. After a successful sign up, you will want to head back to the sign in area and log in to your new account. Once you're logged in, you can see how the Token Sale timeline is progressing, what price tier XCM has reached, and how much COIN has have been sold already. Be aware that in order to redeem COIN, you will have to provide some verification details. For the majority of users, our verification process takes a matter of minutes. 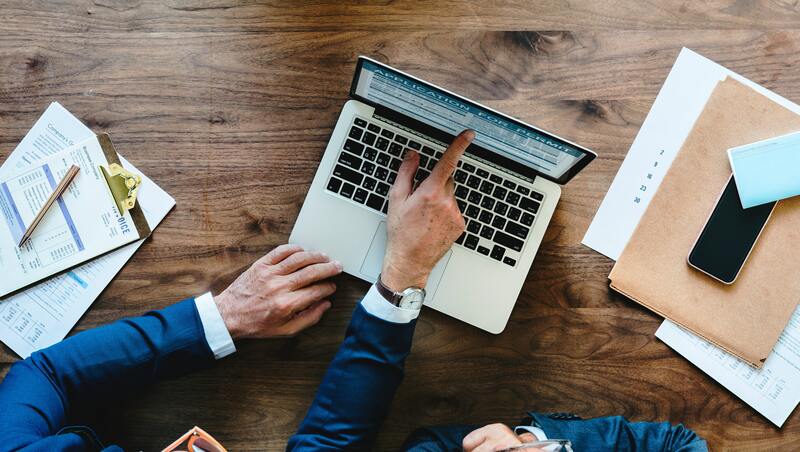 We use id3global API's to auto-check documents, making the process extremely fast compared to many other exchange platforms, such as Coinbase and Bitstamp, where users will sometimes wait several days for approval before they can access their accounts. Verification with CoinMetro will take a maximum of 1 day, with the average processing time sitting at under 4 business hours. 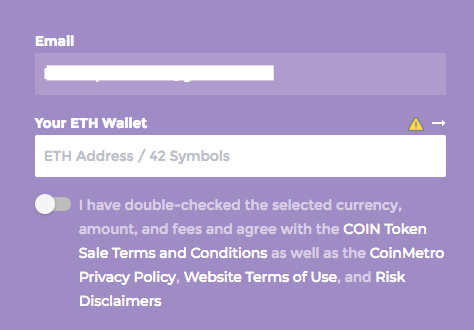 Keep in mind that regardless of which currency you use to purchase XCM, you will still need to provide an ETH address for receiving the tokens when they are distributed. Enter the amount of COIN you want to receive. In order to receive your XCM at the time of token dispersement, you will need to provide an ETH wallet address. The ETH address you provide is where your XCM tokens will be sent when they are released. Once you've double-checked all of your information and agreed to the Terms and Conditions, you can move forward with your token purchase. Almost done! 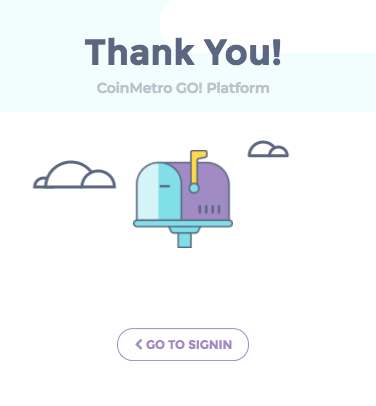 Once you have sent the funds to the CoinMetro wallet, you can watch the transaction progress. Some currencies may take longer to process than others. When the transaction is confirmed, you will see your XCM balance reflected in your account balance. Congratulations! You are now a proud owner of the COIN token.